Emmanuelle "Emmy" Rossum, born September 12th, 1986 in New York City is an American actress and singer-songwriter. She has starred in movies including Songcatcher in 2000, An American Rhapsody in 2001 and Passionada in 2002. Her role in Mystic River in 2003 brought her even greater recognition. She starred in the film The Day After Tomorrow in 2004 and got rave reviews for her work in The Phantom of the Opera in 2004. She has since starred in Poseidon (2006), Dragonball: Evolution (2009), and Dare (2009). In 2007, Rossum released her debut album called Inside Out and also released a Christmas EP that same year titled Carol of the Bells. She currently stars on the Showtime drama Shameless portraying Fiona Gallagher. Rossum is the only child of Cheryl Rossum, a single mother who worked as a corporate photographer. 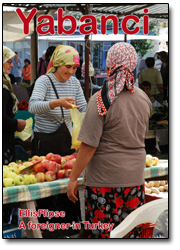 Her parents separated while her mother was pregnant and as of 2007, she had met her father only twice. She was named after her great-grandfather, whose first name was Emanuel, using the feminine spelling Emmanuelle. She is also a relative, by marriage, of designer Vera Wang who was married to Rossum's cousin. After singing Happy Birthday in all twelve keys, Rossum was asked to join the Metropolitan Opera Children's Chorus by the chorus director Elena Doria when she was only seven. Over five years she sang onstage with the chorus and had the chance to perform with other opera greats, such as Plácido Domingo and Luciano Pavarotti. Rossum sang in six different languages in 20 different operas, including La bohème, Turandot, a Carnegie Hall presentation of La damnation de Faust and A Midsummer Night's Dream. She also worked under the direction of Franco Zeffirelli in Carmen. Rossum has joked in interviews that her vocal talent and love of music was due to her mother always listening to classical music and operas while she was pregnant with her. By the age of twelve, she had grown too big to fit into the children's costumes. An increasing interest in acting led her to taking classes with Flo Salant Greenberg of The New Actors Workshop in New York City. She also hired an agent and began auditioning for numerous acting roles. Rossum attended the Spence School, a private school in Manhattan, for years, before dropping out to pursue her career. She received her high school diploma at 15 years of age through online extension courses offered by the Stanford University Education Program for Gifted Youth and later attended Columbia University. Rossum's television debut was in 1997 in a guest appearance on Law & Order playing Alison Martin. In 1999, she had a recurring role as the original Abigail Williams in the long running daytime soap opera As the World Turns. She also had a guest role as Caroline Beels in Snoops. She was chosen for a Young Artist Award nomination in 1999 for Best Performance in a TV Movie for her work in the made-for-TV movie, Genius. Following that movie, she portrayed a young Audrey Hepburn in the ABC TV movie, The Audrey Hepburn Story in 2000. Rossum made her film debut in the movie Songcatcher playing Deladis Slocumb, an Appalachian orphan. In its debut at the Sundance Film Festival, the film won the Special Jury Award for Outstanding Ensemble Performance. For her role, Rossum received an Independent Spirit Award nomination for Best Debut Performance and also had the opportunity to sing a duet with Dolly Parton on the Songcatcher soundtrack. In the film Nola in 2003, Rossum played the title character of an aspiring songwriter. In her first major studio film, Clint Eastwood's Mystic River, she starred as Katie Markum, the ill-fated daughter of small business owner Jimmy Markum, played by Sean Penn. Following Mystic River, Rossum had a breakthrough role as Laura Chapman in the Roland Emmerich eco-disaster film The Day After Tomorrow. She later returned to New York, where she was the last to audition, in full costume and make-up, for the coveted role of Christine Daae in the on-screen adaptation of composer Andrew Lloyd Webber's The Phantom of the Opera. "When I arrived, he just said, 'Shall we?' meaning I was to sing. And I did." 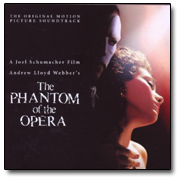 Rossum has said of the audition that after seeing her audition, Webber felt she proved her ability to play the young opera singer who becomes the object of the Phantom's obsessive love. For her role as Christine Daae, Rossum received a Golden Globe Award nomination for Best Actress in a musical or comedy and is the youngest actress ever to be nominated for that particular award. She also received a Critics Choice Award for Best Young Actress, along with a Saturn Award for Best Performance by a Younger Actor as well as other awards. In 2006, she appeared in Poseidon, the Wolfgang Petersen high budget remake of the disaster film The Poseidon Adventure. She played Jennifer Ramsey, the daughter of Kurt Russell's character, Robert Ramsey. As Jennifer, she is described as a 19-year-old heroine because she is not a damsel in distress, and is very proactive and strong in all situations. Rossum also appeared as Juliet Capulet in a 2006 Williamstown Theatre Festival production of William Shakespeare's Romeo and Juliet. In early 2009, she appeared in Dragonball Evolution. Rossum described her action role in Dragonball as the hardest thing she's ever done. Her next big screen venture was the indie Dare, which was an official selection of the 2009 Sundance Film Festival. In November 2009, she appeared in Broadway's 24 Hour Plays in which actors, writers, and directors collaborate to produce, and perform six one act plays within 24 hours to benefit the Urban Arts Partnership - Rossum appeared in Warren Leight's Daily Bread, directed by Lucie Tiberghien. In the summer of 2011, Rossum starred in the DJ Caruso social film, Inside. Sponsored by Intel and Toshiba, the online film aired in several segments, incorporating multiple social media platforms including Facebook, Youtube, and Twitter. Inside used the ideas from the fans to shape the plot, as well as have contests to have fans make cameo appearances via Facebook video. In 2012, in addition to filming the third season of Shameless, Rossum signed on for two film projects. The first was a supporting role in Beautiful Creatures, which was released in 2013, and was based on the popular YA fantasy novel of the same name. The second was a lead in the drama You're Not You, opposite Hilary Swank. In June 2013, it was announced that Rossum would play the female lead opposite Justin Long in the indie romantic comedy Comet. Shortly after wrapping filming on Comet in July 2013, Rossum was back at work, shooting another film called Curfew in New York. Curfew is a feature film loosely based on the 2012 Oscar winning short film of the same title. In addition to Rossum the film also stars Paul Wesley, Ron Perlman and Fatima Ptacek, who will reprise her role from the short film. In December 2009, Rossum joined the cast of the Showtime dramedy series pilot Shameless, based on the hit British series of the same name co-starring William H. Macy and Justin Chatwin. In April 2010, Showtime announced that they would be picking up the series for a full season of twelve episodes. Production began in September 2010 and continued through the fall with shooting taking place in Los Angeles and Chicago. The show was renewed for a second season on February 28th, 2011, and began shooting in Chicago on August 22nd, 2011. Season two premiered on January 8th, 2012. An order for a third season was commissioned in February of 2012. Rossum has received high critical acclaim for her performance and the positive response to the show continued into its third season and it was renewed for a fourth season on January 29th, 2013. After her role in The Phantom of the Opera, Rossum was offered several deals to record classical albums, but refused, opting to create an album of contemporary, more mainstream music. "I was inspired to cut this album because I'm so frustrated listening to the radio these days," Rossum lamented. "It's pop music, but not Britney Spears bubblegum pop. I want it to have a David Gray or Annie Lennox feel. I've been spending up to 12 hours a day in the studio." Rossum cites Sarah McLachlan, Whitney Houston, Celine Dion and Faith Hill as some of her influences. Rossum's album Inside Out was produced by Stuart Brawley. It was released on October 23rd, 2007 and peaked at 199 in the U.S. charts. For the promotion of the record, Geffen Records featured the song, Slow Me Down, as part of the second volume of Hollywood Records Girl Next compilation album, which was released on July 10th, 2007. Later that year, she was chosen as Yahoo's Who's Next artist of the month and a One to Watch by MSN. In December 2007, Rossum released three Christmas songs on the EP Carol of the Bells. It was also this year that Rossum sang the national anthem at the Toyota/Save Mart 350 NASCAR NEXTEL Cup Series race at Infineon Raceway and performed at the first ever Perez Hilton Presents event at the El Rey Theatre in Hollywood. On October 27th, 2007, Rossum again sang the national anthem at the New Jersey Devils's first home game of the 2007–08 NHL season, which was also the first game the team played in the newly constructed Prudential Center. She also performed at the Hollywood Christmas Celebration at the Grove in Los Angeles and the Lighting of the Great Tree in Atlanta, Georgia. She joined Counting Crows, Augustana, and Michael Franti & Spearhead as a special guest for select performances of the Traveling Circus and Medicine Show Tour in the summer of 2009. In 2010, Rossum sang a song called Cruel One on singer Alex Band's debut solo album We've All Been There. On the track she sings with Band, and Chantal Kreviazuk. The song is available on the album's deluxe edition. In November 2012, Rossum announced that her second album would be released on Warner Bros. Records. Sentimental Journey was released on January 29th, 2013. Unlike Inside Out on which Rossum wrote the songs herself, Sentimental Journey is a collection of covers of classic songs that span the 20s to the 60s. Sentimental Journey peaked at 92 on the U.S. Charts. It also hit number one on the US Billboard Charts Top Jazz Albums. Rossum describes herself as a lyric soprano, though she admits her voice is still developing. She continues to train vocally at ZajacStudio, Inc, a studio run by soprano Joann C. Zajac. Rossum is a YouthAIDS ambassador and is also the official spokesperson for "PiNKiTUDE" – a campaign to help raise breast cancer awareness. Additionally, she is an environmentalist who has appeared in several Public Service Announcements for the Natural Resources Defense Council (NRDC) Action Fund. 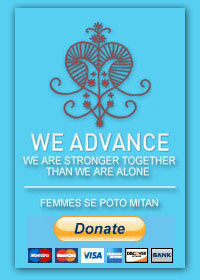 She also works with Global Green USA to raise money for environmental protection and awareness of ecological issues. On May 26th, 2009, Emmy Rossum attended a march in West Hollywood California protesting the California Supreme Court ruling to uphold Proposition 8. Rossum married music executive Justin Siegel in February of 2008 and he filed for divorce on September 25th, 2009, in Los Angeles, citing irreconcilable differences. In October 2009, Rossum was reported to be dating Counting Crows frontman Adam Duritz, with whom she had toured during the summer of 2009. Rossum and Duritz broke up in September 2010, and her divorce from Siegel was finalized three months later in December 2010. Rossum dated her co-star Tyler Jacob Moore from the show Shameless from 2011 to 2013. Rossum has coeliac disease, an autoimmune disease in which the body cannot tolerate any foods containing gluten. She revealed her condition on MTV News after being given a cupcake on-camera to celebrate her 22nd birthday and was only able to eat the frosting. Rossum has stated that she is a spiritual person, but not especially religious. 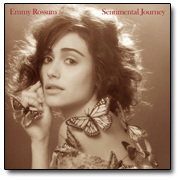 On Sentimental Journey, actress and singer Emmy Rossum brings her irrepressible personality and stellar voice to songs popularized by some of the most beloved artists of the last century from Bessie Smith to Frank Sinatra, from Judy Garland to Connie Francis, from Eddie Cantor to Edith Piaf. 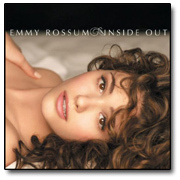 2007 debut album from Emmy Rossum, the actress best known for her acting roles in Phantom Of The Opera, Mystic River, and The Day After Tomorrow. Despite her being known primary as an actress, music has always played a major role in Emmy Rossum's life. When she was seven years old, she was singing with the Metropolitan Opera, and by the time she was a teenager, she had auditioned, and won, the part of Christine in the film version of Phantom of the Opera, for which she received a Golden Globe nomination. For better or worse, Andrew Lloyd Webber's adaptation of Gaston Leroux's gothic horror/romance novel has done for stage musicals what Spielberg's Jaws did for fish stories, with worldwide sales of its original cast album approaching 25 million. While director Joel Schumacher's film turns on his typically ambitious visual verve, its new film soundtrack recording has been paradoxically focused in scope, yet beefed up dynamically via the brawny presence of a hundred piece orchestra and The London Boys Choir.